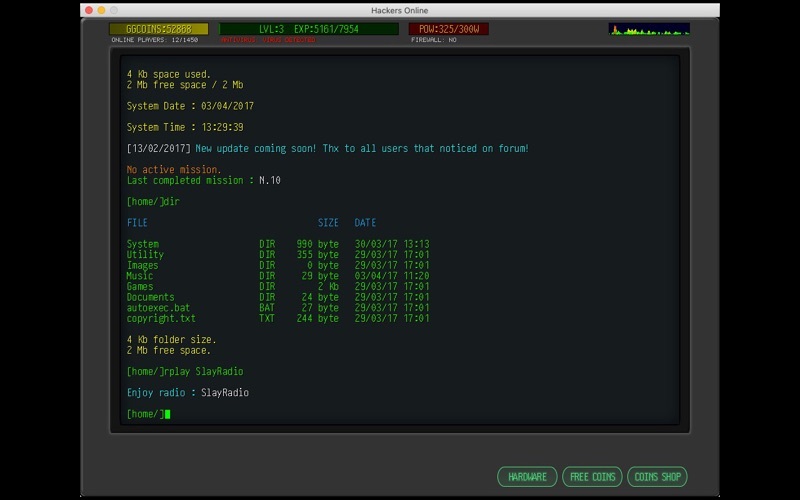 This is the first MMORPG Online based on simulated hacking sessions, on a complete simulated OS. Now you have the possibility to find the hacker hidden in yourself. Fight against all the other users to stole passwords, infos, datas, images and whatever you can! But when you don't want to hack someone, you can use your terminal as a real computer, listening to music, watching videos, pictures and playing some simple games. You can also message with your friends or post what you want on your Facebook wall directly from the terminal. Updates will come frequently so stay tuned!! 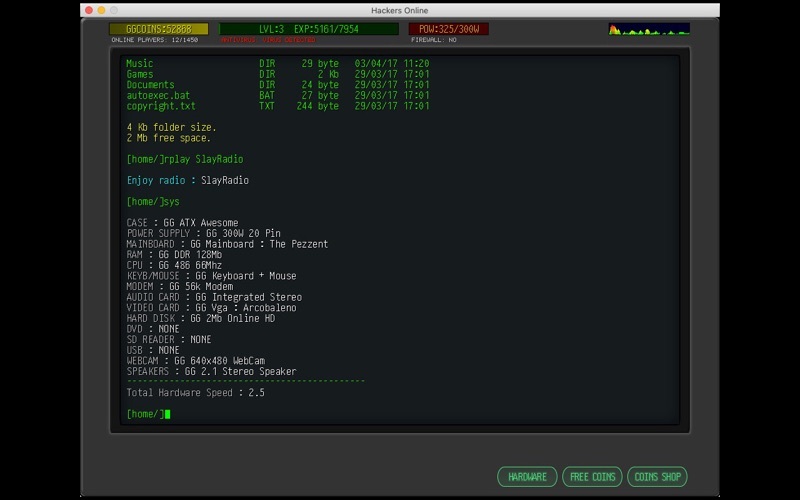 Also the simulated OS will be updated with new functions and commands to get more fun! This game is only a simulation, we tried to make it as real as we can but is only a GAME!! !